On Sept. 12, 1966, a new comedy series titled The Monkees premiered on NBC-TV. 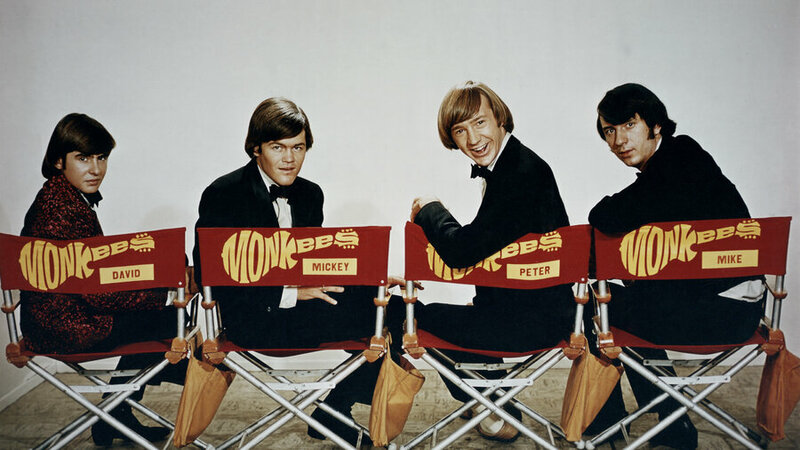 It starred David (Davy) Jones, Micky Dolenz, Michael (Mike) Nesmith and Peter Tork, who were chosen to portray members of a struggling, fictional rock band looking for work. Jones and Dolenz were already actors when they were hired for the show, while Nesmith and Tork were musicians. Eventually, this made-for-television band ultimately became a real-life band, playing their own instruments and taking control of their music. Between 1966 and 1967, The Monkees albums both outsold the Beatles and The Rolling Stones combined. Currently, Dolenz and Tork are on tour promoting the band’s 12th album, Good Times. Nesmith will join them for two concert dates in Arizona, as well as the one at the Pantages Theatre in Los Angeles on Sept. 16. Nesmith is currently writing a book, which will be released in 2017. This entry was tagged 50th Anniversary, music, The Monkees. Bookmark the permalink.